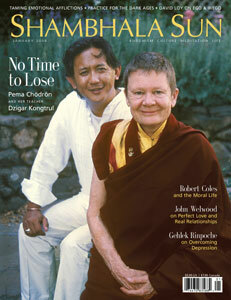 The Shambhala Sun is the magazine about waking up. It celebrates the spirit of wakefulness wherever it appears - in the arts, relationships, politics, livelihood, popular culture, and all the challenges of modern life. Inspired by the wisdom and compassion of Buddhist practice, the Shambhala Sun is devoted to the principle that true human wisdom is not the property of any one religion or culture. Beyond distinctions of secular and sacred, the Shambhala Sun is the place where ancient wisdom shares the stage with some of today's finest teachers and writers. The largest Buddhist publication in America, Tricycle: The Buddhist Review is an independent quarterly magazine. Unaffiliated with any one Buddhist school or sect, Tricycle is a wide-open forum for exploring contemporary and historic Buddhist activity and its impact on mainstream culture. Tricycle prefers to receive a one-page query outlining your idea, accompanied by any relevant information about yourself, your Buddhist and writing background, your familiarity with the subject of your proposal, and so on. If you have clips or writing samples, please send these along with your proposal. Founded by Jesuits, in 1909, America is the weekly Catholic magazine of news, opinion, book reviews and articles for the thinking Catholic and those who want to know what the Catholic people are thinking. They publish a wide variety of material on religion, politics, economics, ecology, and more. While they're not a parochial publication, almost all pieces make some moral or religious point. They need articles on theology, spirituality, current political, social issues. Canticle Magazine, a quarterly publication of Women of Grace®, is the only journal dedicated solely to the woman’s vocation within the Church. Understanding that the feminine vocation is to be found most fully in the image of Holy Mother Church herself, Canticle endeavors to combine the supernatural realities of living in an incarnational world with practical and accessible material that recognizes the challenges of our generation. All writers must be solid and mature in an authentic Catholic faith, and write in a tone that is positive and respectful, recognizing that the Holy Spirit guides the Church and provides numerous legitimate charisms to help her members grow in holiness. Commonweal is an independent journal of opinion edited & managed by lay Catholics. You won't find any soccer scores, recipes, or crosswords in Commonweal, but lots of politics: e.g., the tobacco wars, welfare reform, budget-balancing, Israel & Palestine, China & Tibet, crises in Rwanda, Ecuador, Bosnia, Northern Ireland, Hong Kong.... And plenty of ethics-talk: gay marriage, death penalty, euthanasia, abortion. Plus a miscellany: women’s ordination, science & religion, the high cost of college, Social Security, who exactly was/is Jesus? 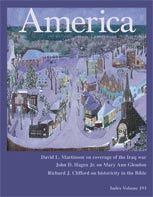 Historian Rodger Van Allen describes Commonweal as "perhaps the most significant lay enterprise and achievement in the history of American Catholicism." Envoy magazine is the award winning bi-monthly journal of Catholic apologetics and evangelization, edited by Patrick Madrid (Surprised by Truth, Pope Fiction, Any Friend of God is a Friend of Mine). Envoy magazine presents the truths of the Catholic Faith in a fresh, contemporary style, featuring today's top Catholic writers, full-color graphics, and an upbeat, innovative format. The Holy Father's call for a "New Evangelization" requires that the Catholic laity be not only knowledgeable about the Faith, but also prepared to explain it intelligently, defend it charitably, and share it effectively. Envoy is an instrument at the service of the local and universal Church to accomplish this task. Pays for "all rights." St. Anthony Messenger is a general-interest, family-oriented Catholic magazine. It's written and edited largely for people living in families or the family-like situations of Church and community. It aims to help its readers better understand the teachings of the gospel and Catholic Church, and how they apply to life and the full range of problems confronting us as members of families, the Church and society. Alive Now is a Christian bi-monthly devotional magazine that seeks to nourish those who are hungry for a sacred way of living in the world. Their theme-based issues celebrate the Christian year, reflect on contemporary issues from a faith perspective, and nurture an embodied spirituality for individuals and groups. Angelica is a quarterly journal of contemporary Christian art and fiction (suspense/thrillers). They are looking for stories (2,000 to 4,200 words) that have strong Christian elements in them, such as an intense salvation experience; a recommitment to Christ resulting from a life that had veered away from Christ; an indication that the character(s) have faith in God, even if it's wavering, with the story showing somewhere that God is, in fact, faithful. Angels, demons, supernatural, good vs. evil, end times etc., are desirable content along with any other type of good Christian fiction that is selling on the market right now. Angelica also publishes poetry, but are very selective. They’re not interested in poetry about nature, but prefer intense pieces on faith, grace, salvation, forgiveness, etc. 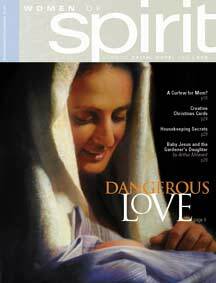 Charisma & Christian Life describes itself as "The Magazine About Spirit-led Living." Each month more than 600,000 readers turn to the magazine for inspiration, information and instruction. More than half their readers are Christians who belong to Pentecostal or independent charismatic churches, and numerous others participate in the charismatic renewal in mainline denominations. The Christian Century magazine seeks manuscripts that articulate the public meaning of faith, bringing the resources of religious tradition to bear on such topics as poverty, human rights, economic justice, international relations, national priorities and popular culture. They are also interested in articles that examine or critique the theology and ethos of individual religious communities. They welcome articles that find fresh meaning in old traditions and which adapt or apply religious traditions to new circumstances. Discipleship Journal strives to help believers develop a deeper relationship with Jesus Christ, and to provide practical help in understanding the Scriptures and applying them to daily life and ministry. Most of the articles they publish fall into one of three categories: Teaching on a Scripture passage, such as a study of an Old Testament character or a short section of an epistle, explaining the meaning and showing how to apply it to daily life. Teaching on a topic, such as what Scripture says about forgiveness or materialism. How-to, such as tips on deepening your devotional life or witnessing in the workplace. Once a newsmagazine intended to inform Canadian evangelicals on thoughts, trends, issues and events, Faith Today has become a general interest publication for Christians in Canada. While still providing national news and comment, Faith Today now includes more feature articles that seek to inspire and equip lay leaders and ministry staff. As well, it provides profiles of individuals and ministries that have overcome challenges through God’s intervention. The goal of The Godly Business Woman is to educate, inspire and encourage women to be all they can be through Jesus Christ. The magazine strives to be a resource on which women can depend and which sheds light on God's view of the responsibilities women have been given. Believing that all women are business women, the magazine offers quality reading that allows women to grow and be informed as wives, mothers, singles, grandmothers and businesswomen. Horizons magazine provides information, inspiration and education from the perspectives of women who are committed to Christ, the church and faithful discipleship. Horizons brings current issues dealing with family life, the mission of the church and the challenges of culture and society to its readers. Interviews, feature articles, editorials, regular columnists and letters from their readers offer help and insight for up-to-date, day-to-day concerns of the church and individual Christians. The Lutheran is the magazine of the Evangelical Lutheran Church in America. The magazine strives to nurture an awareness of Christ’s presence in our lives and in the world, share stories of God’s people living their faith, provide an open forum for discussion, connect the global Christian community, and challenge its readers to bring God’s grace and care to all. The Plain Truth is bold and uncompromising, a refreshing and welcome voice in the midst of tired, "same old, same old" Christian journalism. The Plain Truth challenges religious legalism that masquerades as authentic Christianity, calling attention to issues that divert attention from Christ toward human effort, accomplishment and performance. It doesn’t compromise with the gospel of Jesus Christ, while challenging unbiblical religious practices and ideas that have given and continue to give God a bad name. The goal of The Plain Truth is to inform, inspire and encourage. Their biblically based insight is fresh and relevant, offering hope in a world of shattered lives, corrupted values and meaningless existence. They stand for the renewal of faith and values, seeking to reach those who have given up on Christianity and God. Develop a deeper intimacy with God through an improved prayer life. Come to a more complete understanding of the theology of prayer. Raise their awareness level of the worldwide movement of prayer in the church. Develop stronger prayer ministries within their own churches. Be encouraged to pray for world evangelization, revival of the church, and personal revival. Learn new ways to pray and thereby enhance their prayer lives. The mission of PrayKids! is to teach, encourage, and equip children (ages 8-12) as they develop a deepening relationship with Christ through prayer, so that they might become more effective prayer warriors. Sojourners magazine is part of a Christian ministry whose mission is to proclaim and practice the biblical call to integrate spiritual renewal and social justice. Although most of the articles that appear in Sojourners have been requested from particular writers, they do occasionally publish unsolicited manuscripts. They're interested in feature articles that treat biblical, social, political, economic, theological, community, or church themes (to mention a few) from a progressive Christian perspective. Where it is reasonable to do so, pieces should explicitly state their grounding in Christian faith. They encourage writers who are describing social or other problems to consider suggesting creative solutions to those problems. Today’s Christian Woman is a practical magazine geared for women in their 20s, 30s, and 40s. It seeks to help women deal with the contemporary issues and hot topics that impact their lives, as well as provide depth, balance, and a biblical perspective to the relationships they grapple with daily in the following arenas: family, friendship, faith, marriage, single life, self, work, finances, and health. Weavings journal provides a forum in which life in the world and the spiritual resources of the Christian heritage encounter and illuminate one another. Founded in 1986, the journal is for all thoughtful seekers who wish to explore the many ways God's life and human lives are being woven together in the world. Women of Spirit is a magazine ministry established by Seventh-day Adventist women to encourage each other and to share with their friends. First introduced in 1995, it's mission is to be a friend and mentor, to stimulate spiritual vitality, to nurture emotional growth, to foster balanced, healthy living, and to encourage a dynamic Christian witness in the home and community. Women of Spirit seeks writers from a diversity of ethnic and cultural backgrounds who think creatively and seek God deeply. Though primarily targeting Seventh-day Adventist women, this magazine appeals to women of other faiths and therefore avoids using language and experiences not easily understood outside the Adventist arena. Women of Spirit aims to build a joyful sense of community among women and to affirm their place of service in the body of Christ. Hinduism Today is an 86-page international quarterly magazine (published in North America) written for educated, English-speaking Hindus, the general public interested in Hinduism, and to inform the scholastic community dedicated to Hindu-related studies. Now in its 26th year of publication, the magazine is considered "the voice of Hinduism." Stories in Hinduism Today cover timely events, profiles, interviews, trend analysis, social issues, lifestyle pieces, cultural explorations, travel-log, and special feature reporting. Body + Soul (now owned by Martha Stewart) is the authority on “whole living” for women embracing a natural lifestyle. “Whole living” is creating a balanced, healthy, fully-realized life by understanding the connection between physical and spiritual well-being. Body + Soul informs and inspires readers in their quest for health, wellness, and balance. Each issue contains an “Action Plan” with simple, healthy practices designed to help readers make small changes that could have a big impact on their lives. Whole Health Practices including natural, complementary, and alternative therapies. Balanced Fitness Fitness that renews and focuses on the mind/body connection. Eat Well Recipes and nutrition for fresh, healthy, delicious eating. Inner Growth Ideas for a more authentic, fulfilling life in every respect including enriched relationships, healthy family dynamics, and a satisfying career. Healthy Home Strategies for a more comforting, environmentally friendly home and garden. Just like the popular Chicken Soup book series, the bi-monthly Chicken Soup For the Soul magazine will publish in each issue those lovable, inspirational, humorous stories that give readers hope, and help them overcome life’s challenges as well as to realize their dreams. These are stories that show people volunteering, lending a helping hand and working toward making their communities and the world a better place. These are stories that describe acts of love and kindness; the healing power of love; acts of tenderness and compassion; acts of generosity; and events that transcend racism, sexism, ageism and nationalism. These are stories that profile people who are caring, compassionate and creative, as well as people who are doing noble things such as teaching our children, both in and outside the classroom. These are stories that demonstrate how we have triumphed over our own personal obstacles or how individually we celebrate accomplishments, such as baby’s first steps or puppy fetching the ball and bringing it back to us. These are stories about any aspect of life that is emotionally moving, touching, inspiring and insightful. These are stories that capture people, places and events of yesterday, twenty-five years ago or even hundreds of years ago. They profile family histories or genealogical searches and show how information we uncover about our roots can help us in believing in our dreams, the power of setting goals, and the wisdom in trusting and following your heart. These are stories that express the ability of believing in your dream, the power of goal setting, the wisdom of trusting and following your heart, the power of giving encouragement, and the importance of asking for and being open to receiving assistance from both people and God. These are stories that describe the warmth of your home as you were growing up, the lessons you learned from parents, siblings, relatives, and even friends. These stories profile how families stuck together in tough times, celebrated the good ones, and overcame hardships and challenges. 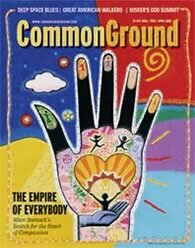 Common Ground serves as a resource to help readers in the San Francisco Bay Area live healthier lives and create a sustainable society. Their editorial content builds conscious community by expanding social, political, and environmental awareness. It supports wellness and healthy living by informing readers about natural foods, nutrition, and integrative health care. Conscious Choice serves the Chicago area as a resource to help readers live healthier lives and create a sustainable society--and have fun doing it. The magazine covers topics that run the gamut from compassion to conscious dining, from environmental debate to enlightenment, and from happiness to holistic health. Based in Seattle, Evergreen Monthly (formerly the New Times) is dedicated to helping its readers live richer, fuller, and personally authentic lives. The stories and information presented provide the public with inspiration, information and resources about health, spirituality, personal growth, food (including restaurant reviews), environment and social and economic justice. The readers of Natural Beauty & Health are primarily interested in holistic health issues and information. The magazine covers four basic areas: beauty, health, food, and spirituality. 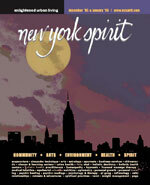 New York Spirit is a bi-monthly magazine that caters to the holistic health community in New York City. 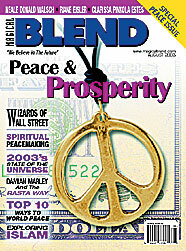 The magazine covers spirituality, personal growth, and transformation. In addition to non-fiction articles, New York Spirit occasionally publishes fiction as well. The British magazine, Resurgence, publishes articles that are on the cutting edge of current thinking, promoting creativity, ecology, spirituality and frugality. The magazine’s editor of thirty years is Satish Kumar, a former Jain monk. His autobiography, "Path Without Destination," was published by William Morrow in 1999. Some issues of Resurgence are given over to a particular theme, such as food, nature, transport, or a particular country. Otherwise, every issue provides an eclectic mix of articles around ecology, alternative education, spirituality, sustainable development, and the arts. Whole Life Times offers readers in the Greater Los Angeles area viable alternatives for living healthy, conscious and satisfying lives, and for creating a sustainable society. Writer’s Guidelines are NOT online. Full writer’s guidelines for a #10 SASE to above address or by email. B'nai B'rith Magazine specializes in social, political, historical, religious, cultural, ‘lifestyle,’ and service articles relating chiefly to the Jewish communities of North America and Israel. Published quarterly, Jewish Action presents a vibrant and dynamic approach to Jewish living in America, Israel and around the world. The editors seek topics of interest to an international Orthodox Jewish audience, such as: current ongoing issues of Jewish life and experience, human-interest features, poetry, art, music and book reviews, historical pieces and humor. When Elie Weisel and Leonard Fein founded Moment in 1975, they called it "The New Magazine for America's Jew." In its premier issue Fein proudly declared that Moment would include diverse opinions "of no single ideological position, save of course, for a commitment to Jewish life." Today, as the largest independent Jewish magazine in North America, Moment is as committed as ever to being an independent forum, in which disparate opinions and ideas are addressed in provocative ways. Since 1970, Sh'ma has served as a gathering place for independent voices eager to be heard across the Jewish religious, social and political landscape. Through its diversity, intensity, frequency and constancy, Sh’ma has served as a public diary of the American Jewish experience. In its pages, topics that cut to the very core of our Jewish sense of self is discussed. Its tactic is dialogue -- rich conversation of differing positions presented in an honest, respectful, purposeful way, seeking to bring its readers to the table and to keep expanding it, adding leaf after leaf, until all have a place in this sacred conversation. The magazine covers topics as diverse as the politics of gender; trends in new Jewish social and political involvement; questions of culture and personal identity; ritual innovations; and new readings of ancient texts. Tikkun Magazine began publication in 1986 as the liberal alternative to the voices of Jewish conservatism and spiritual deadness in the Jewish world and as the spiritual alternative to the voices of materialism and selfishness in Western society. Tikkun provides a space for both affiliated and non-affiliated Jews who seek to renew their Judaism, and a space for Jews and non-Jews alike to shape a politics out of spiritual values. Tikkun gets its name from the Hebrew word, "tikkun," which means "to transform, heal and repair." This concept was developed in the Zohar, a central text of the Kabbalah, to refer to the kind of healing and transformation of the world, "tikkun olam," in which each of us can participate. Azizah is the magazine for the contemporary Muslim woman. This educated woman is confident about her Islamic faith and continually seeks to improve all aspects of her life. Azizah magazine presents her aspirations and achievements, her experiences and empowerment, and her contributions and concerns as she strives for spiritual growth in today's world. It is a magazine that serves as a source of information, inspiration, and ideas, as well as a line of connection to other like- minded Muslim women. Innerchange is a free, bimonthly publication distributed throughout North Carolina and southern Virginia. Innerchange provides a forum to share information with others on spiritual journeys. Its focus includes, but is not limited to, exploring oneness with the universe, bringing spirit into the workplace, investigating complementary healing practices, and voicing environmental concerns. Innerchage strives to build a community of seekers, students and teachers of spirituality, metaphysics, and alternative healing practices throughout the Southeast region of the United States as well as around the world. Kindred Spirit is the UK's leading guide to Mind, Body and Spirit. Since the very first issue published in November 1987, the magazine has featured all kinds of discoveries, whether they be in the field of spirituality, or physical health and well-being, or revelations concerning the inner workings of the human mind. New and progressive forms of complementary healthcare such as Zero Balancing and Holographic Re-patterning appear in Kindred Spirit next to articles on angels and the latest explanation of the workings of Stonehenge. It probes into the dangers of xenoestrogens, fluoride, and amalgam fillings while saluting the virtues of indigenious wisdom, sustainable technologies and positive social actions. Kindred Spirit featured ground-breaking stories such as the inner temple of Damanhur, the psychic surgery of John of God, and the link between our genetic conditioning and the I-Ching - years before such news hits the mainstream publications. 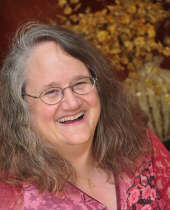 The readers of Magical Blend are primarily interested in personal and planetary growth and change, with an emphasis on spiritual and social subjects that are well researched. The magazine’s readers want innovative techniques for living life more fully, articles that show where magic, miraculous healing, and esoteric philosophy meet Main Street, and information that sheds light on the process of global and personal transformation. The Mountain Astrologer is widely recognized as the best English-language astrology magazine in the world today. They’re know for lively, well-written articles on a wide variety of astrological topics, including book reviews, astro-humor and chart interpretation tips. Shaman's Drum: A Journal of Experiential Shamanism and Spiritual Healing is published by the Cross-Cultural Shamanism Network, a nonprofit educational organization. The magazine was started to encourage the study of shamanism from the practical experiential perspective of shamans and other practitioners. In the past, shamanic cultures were primarily described and defined by unsympathetic outsiders who viewed shamanic beliefs and practices as strange curiosities or superstition-based anomalies. In recent years, many Westerners have begun to study shamanism from an experiential perspective, and they are finding that it offers a remarkably effective blend of transpersonal healing therapies and ecstatic spiritual exploration that can be as vital to our survival today as it was for our ancient ancestors. In order to expand and deepen our understanding of shamanic methodologies, Shaman's Drum regularly examines traditional forms of shamanism -- ranging from Siberian ecstatic seances and Tibetan trance oracles to Amazonian ayahuasca rituals and Native American healing ceremonies. However, shamanism has never been the exclusive province of any single culture -- Siberian or Native American. It is truly a universal human phenomenon, or complex of phenomena, that ultimately transcends culture or tradition. For that reason, Shaman's Drum also endeavors to explore contemporary applications and nontraditional methodologies. Angels On Earth®, a Guideposts publication, publishes true stories about God's messengers at work in today's world. They are interested in stories of heavenly angels and stories involving humans who have played angelic roles in daily life. The best stories are those where the narrator has been positively affected in some distinct way. Look for unusual situations; they have a surplus of stories about illness and car accidents. They're also especially on the lookout for recent stories. A typical Angels On Earth story is first-person narrative written in dramatic style, with a spiritual point that the reader can "take away" and apply to his or her own life. It may be your own or someone else's story. Guideposts magazine is a monthly inspirational, interfaith, nonprofit publication written by people from all walks of life. Its articles present tested methods for developing courage, strength and positive attitudes through faith in God. Guideposts writers express viewpoints from a variety of Protestant, Catholic and Jewish faith experiences. A typical Guideposts story is a first-person narrative written in simple, dramatic, anecdotal style with a spiritual point that the reader can "take away" and apply to his or her own life. The story may be the writer's own or one written in the first person for someone else. Even their short features, such as "His Mysterious Ways," "What Prayer Can Do," "Angels Among Us" and "Divine Touch" use this format. Image, a literary and arts quarterly founded in 1989, is a unique forum for the best writing and artwork that is informed by-or grapples with-religious faith. Image has never been interested in art that merely regurgitates dogma or falls back on easy answers or didacticism. Instead, its focus has been on writing and visual artwork that embody a spiritual struggle, that seek to strike a balance between tradition and a profound openness to the world. Here the larger questions of existence intersect with what the poet Albert Goldbarth calls the "greasy doorknobs and salty tear ducts" of our everyday lives. Parabola is a quarterly journal devoted to the exploration of the quest for meaning as it is expressed in the world's myths, symbols, and religious traditions, with particular emphasis on the relationship between this store of wisdom and our modern life.Parabola looks for lively, penetrating material unencumbered by jargon or academic argument. They prefer well-researched, objective, and unsentimental pieces that are grounded in one or more religious or cultural tradition. All articles must be directly related to the theme of an issue. 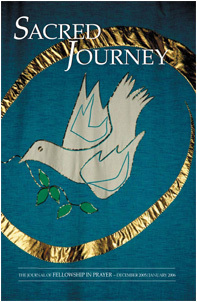 Sacred Journey: The Journal of Fellowship in Prayer is a 48-page, multifaith journal published six times a year, in February, April, June, August, October, and December, by Fellowship in Prayer. The magazine explores the paths of love, compassion, lovingkindness, and blessing, as they are taught in the world’s various contemplative traditions. They review for publication articles and poems relating to all aspects of the spiritual life, including prayer, meditation, and service to others. In each issue you will find the spiritual insights, practices, and beliefs of women and men from a broad spectrum of the world’s faith communities. Payment for articles: 5 copies of the magazine and a year's subscription. 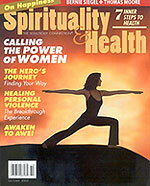 Sage Woman is a quarterly magazine of women's spirituality dedicated to the Goddess that you are. With every issue, you'll connect with Goddess-loving women from around the world, rejoicing in your gifts, sharing your wisdom, reaching out to your sisters. In SageWoman's pages, you'll be supported, uplifted, and challenged to envision the Goddess in all women, especially, in yourself. SageWoman is dedicated to helping women explore their spiritual, emotional, and mundane lives in a way that respects all persons, creatures, and the Earth. Women of all spiritual paths are encouraged to submit writings and artwork, but their focus is on material that expresses an Earth-centered spirituality. All submissions should focus on issues of concern to Pagan and other Goddess-friendly women. Science & Spirit explores how science and religion can work together to address the vital issues of our time. Life's complexities can weigh heavy on the spirit. Looking at them through the lenses of both science and religion offers insight neither discipline provides alone. Science & Spirit appreciate serious science, and covers a world of faiths. The magazine’s mission is to explore the integration of the scientific and spiritual aspects of our culture in a way that is accessible and relevant to everyday living. Science of Mind magazine publishes articles that teach, inspire, motivate, and inform, that offer a spiritual perspective on world events, as well as tools for spiritual practice, all based on the Science of Mind philosophy. Spirituality & Health reports on the people, practices, and ideas of the spiritual renaissance in contemporary society and their impact on personal and community well being. It provides readers with practices to aid them in their own spiritual formation and strives for journalistic objectivity in the presentation of stories about specific religions and denominations. T'ai Chi is interested in articles on T'ai Chi Ch'uan, other internal martial arts and related topics such as qigong, Chinese traditional medicine and healing practices, Chinese philosophy and culture, as well as news about teachers and their schools. 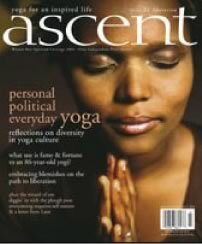 Ascent is a quarterly journal of yoga and engaged spirituality. With an emphasis on personal narrative, Ascent’s articles translate the philosophy of yoga and other spiritual traditions into practical realities. Each issue centers around a specific theme, exploring the intersection of spiritual values with social and political issues, art, culture and contemporary thought related to the theme. Breathe is a modern lifestyle magazine that helps sophisticated readers sculpt a richer, more meaningful life. Breathe is about yoga, holistic living, and more—this intelligent, aesthetically pleasing magazine will also cover arts and culture, health, food, travel, design and architecture. Breathe is simply a celebration of life on this planet. Accepts queries. No unsolicited manuscripts. Enlightened Practice is a bi-monthly magazine serving the needs of the South Florida yoga community. It addresses yoga related issues such as breathing, chanting and meditation, as well as vegetarian eating, the health benefits of yoga, and yoga for kids. YogaLife is, a yoga brand that understands your life, its joys and its challenges, and introduces yoga as the perfect way to reduce stress, tone up, slim down, manage your emotions, and feel the way you were meant to feel, with your body and mind in perfect balance. Health YogaLife reports medical breakthroughs and self-care techniques through the lens of mind-body wellness to prevent problems before they occur. Fitness No matter what the reader's fitness level, yoga is the perfect way to meet their goals, from getting started to advanced workouts. Weight Loss Yoga helps readers to lose weight, remake their body, and gain mind-body balance. Taking time for yourself helps break the cycle of weight gain. Nutrition The rules seem to change daily, but YogaLife offers answers on the best foods, and how to prepare them simply and quickly. Stress Stress is part of a busy, active, high-achieving lifestyle. Rather than advocating readers drop out of society or get off the fast track to eliminate stress, YogaLife will help readers incorporate physical and mental stress relievers into their hectic life. Fashion Fashion tips let readers show off that well-earned yoga body - and be comfortable while doing it whether working out, at lunch with friends, or out for the evening. 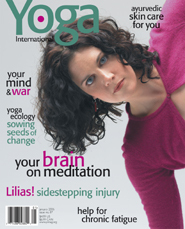 Mixing theory, practice, and personal experience, Yoga International magazine shows people how to use the ancient teachings of yoga philosophy to enrich their lives. Departments range from the scriptural to the whimsical—Living Yoga, Everyday Ayurveda, quotes and quips, media reviews, karma, dharma, and everything in between. It's authentic yoga-back to the scriptures, back to the masters, back to the sages. Yoga is practice-the sustained, deliberate effort to undermine the illusion that our consciousness is restricted to body and mind. They look for articles that will inspire confidence in the transformative power of yoga and in one’s ability to engage in a fruitful practice. In other words, they are looking for articles that give them-and their readers-inspiration to practice. The Yogi Times is a free monthly magazine distributed in the Los Angeles area. It has insightful articles on the physical, spiritual, and healing attributes of yoga, as well as addressing the yogi (or healthful) lifestyle. They are currently developing a new magazine, Yogi Times Business, which will be a quarterly trade magazine whose aim is to address the needs of teachers, studio and yoga-related business owners, as well as anyone else working in industries related to yoga. The magazine will offer a supportive professional forum containing indispensable information, educational columns, success stories and valuable resources, not available anywhere else, that will help its readers create and maintain a mindful, sustainable and healthy business.